Some great action shots of Lenny playing the 1967 Gibson FROST BLUE Flying V that he acquired from me quite a while ago. This V was Gibson Factory-Restored in a Very Rare Custom Color. The clear top coat of the finish has yellowed a bit over the years to give the pretty light blue hue a "greenish" color. Lenny spotted this guitar in my store and had to have it, I think we both love this guitar! For all things LENNY, and there is always cool stuff happening, be sure to visit his Official Website! Lenny ALWAYS has a really amazing band! Led Zeppelin was kind enough to fill in on Bass for this Live performance. You can click here if you'd like to view that MTV Live performance on YouTube. and it's just Pre the Matching head stock feature, which was introduced a bit later in 1962. 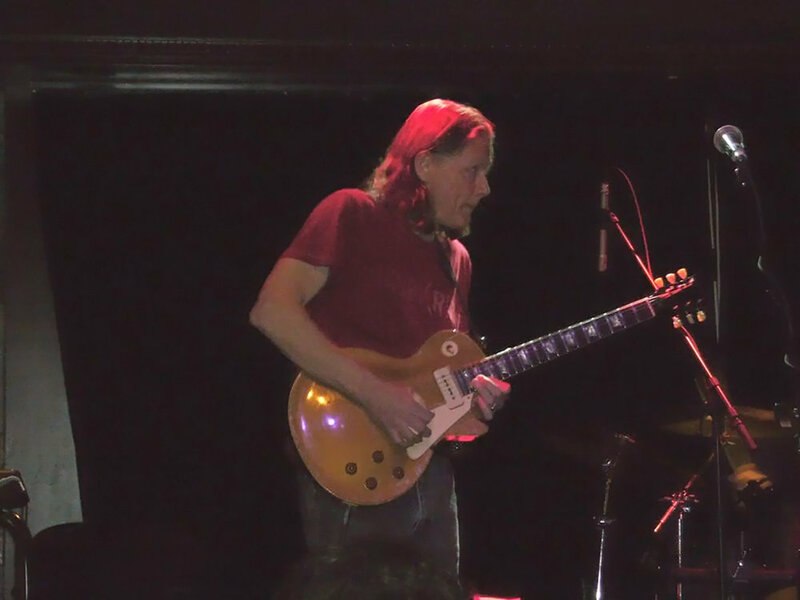 Robben Ford was an occasional and welcomed visitor to my store. His talent and skills are known worldwide. He has been making great music for many decades now and he continues playing and pleasing audiences and fans around the globe. It always amazes me to watch and hear players of his caliber and I can only imagine how much talent, skill and practice are needed to achieve his level of proficiency. He is an amazing musician, performer and guitarist. I recall many times when Robben came to my store and he was usually interested in trying out some vintage Fender and or Gibson guitars. He was usually on a mission for one or the other. I recall one visit when he was after an old Strat. I always kept a fairly large amount of them on hand, so there were many to chose from in my store and if something interested him, he often took 1 or 2 home to test drive. Robben seems to be very particular and at the level he is on, I can understand it. I recall him telling me that 1 of my guitars had a great neck pickup or another had 2 great pickups but he was after "the" one, and it had to meet all of his criteria. I remember him telling me that is was difficult to find one that had 3 GREAT pickups as well as the right "feel." Of course I bow to his expertise and knowledge. I don't remember if he purchased a Fender from me but I enjoyed the process and getting to hear him quietly play in my store. On another hunting expedition, I can't recall the year, but Robben was after a vintage Les Paul Standard model goldtop with P-90 pickups. I also had several of those on hand at all times. I recall the process was similar to the Strat search. After a few visits he had found some that he liked in my shop and narrowed it down to 1 or 2 and ultimately decided that one of them was something he would like to own and a deal was made for a 1954 Les Paul standard. You may want to visit Robben's Website. You can check out what he is doing and there is a lot of good info about his Music, Clinics and there are Lessons too. above: Robben's 1954 goldtop seen with the 1957 Les Paul Standard that is purportedly on loan from Larry Carlton. Both are AMAZING musicians and these are 2 very cool-vibe, old guitars!